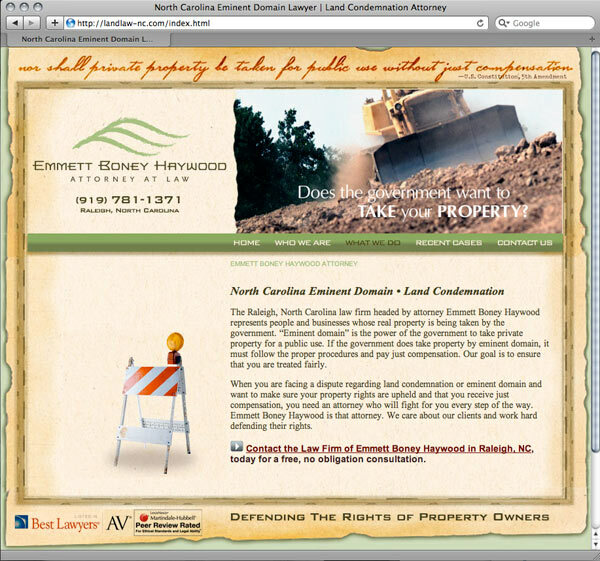 With the recent global recession that’s been gripping our nation, the ripple effects have been felt across North Carolina. High unemployment rates, and a decrease in income and spending has pushed up those facing poverty and in turn families needing food assistance. Some North Carolina food banks now shockingly provide nearly one out of every eight people in their region with food assistance, a dramatic rise since 2007. Raleigh design firm Killer Creative Group was asked to design a new website for North Carolina Food & Nutrition Services (formerly NC food Stamps), and it couldn’t have come at a better time. 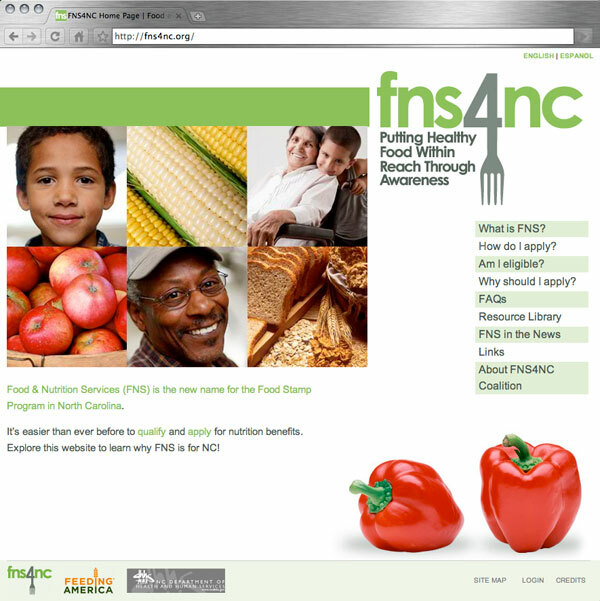 Fns4nc.org (Food & Nutrition Services for North Carolina) has evolved from the former days of food stamps. FNS helps North Carolina families with little or no income buy food by way of electronic debit cards that can be used at grocery stores and farmer’s markets. The new website features links to NC food assistance applications, food assistance eligibility requirements, and links to additional resources. 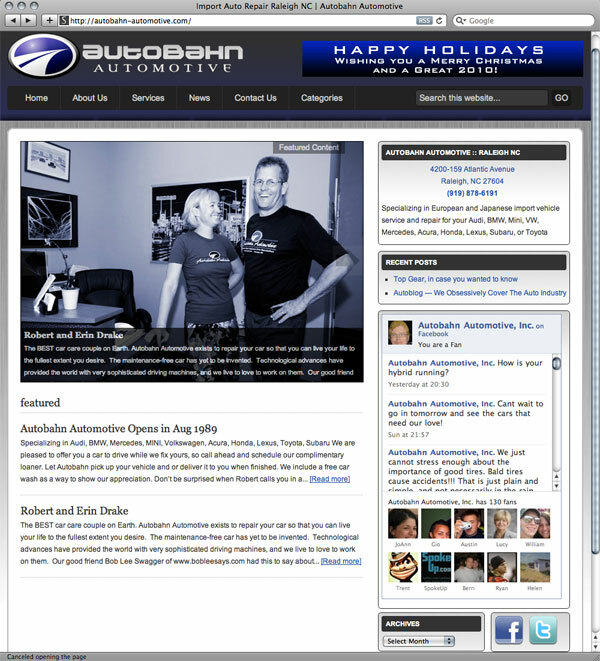 Once added feature of the new site is that it bilingual in both English and Spanish. Raleigh web hosting is by KillerHosting.net. 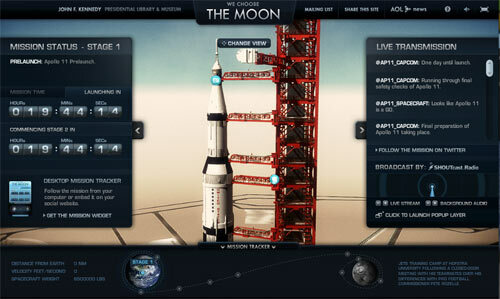 wechoosethemoon.org relives the historic Apollo 11 mission, in real time. July 16th, 1969 marked the launch date of a historic space flight to the moon that resulted in the greatest historical achievement of the 20th century: man walking on the moon. It was a culmination of a decade’s hard work, momentous design, material, human and engineering achievements, spurred by John F. Kennedy’s iconic ‘We Choose The Moon’ speech at Rice University in 1962. After years of having his work available for viewing online solely through gallery websites, artist Jason Craighead of Raleigh, N.C., has just launched his own website: www.jasoncraighead.com. The new website features a continuous slide show of the artist’s recent works on the landing page, along with notices of current and upcoming exhibitions. The muted background suggests the “passionate and emotionally charged evolving exploration of line and space” that Craighead says defines his current work. From the landing page, visitors can click on “works on paper” and “works on canvas and panel” to see more available paintings. The new website’s “contact” page features the galleries that represent the artist — including Somerhill Galllery in Durham, Broadhurst Gallery in Pinehurst, Anne Irwin Fine Art in Atlanta, Georgia, and Bucks Gallery of Fine Art in Newtown, Pennsylvania. The site also features an “about the artist” page that offers more detailed background into the evolution of a painter who has become well known in the North Carolina art scene. The page includes listings of group, two-person and solo exhibitions, publications where Craighead’s work has been featured, select public and private collections, and his professional experience serving as a juror for art exhibitions and as a member of the Public Art Committee for the City of Raleigh Arts Commission until 2011. 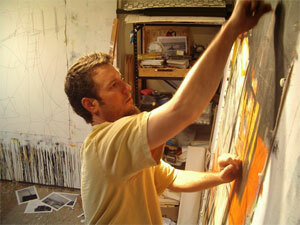 Jason Craighead’s next major exhibition of his work will be a solo show at Somerhill Gallery in August. More details will be available this summer at www.somerhill.com. For more information on the artist and to see his most recent work, go to www.jasoncraighead.com.